If such a question occurred to you, then you’ll find our article useful. And you’re lucky because you understand that you’ve just started your long path to creating a successful app. Not everyone is aware of this. On the contrary, many people think that coming up with great app ideas is actually 99% of future profits. Alas, the reality isn't so bright and often deceives our expectations. But don’t worry: we have a detailed plan to solve your problem. All you need to do is follow our tips exactly. In our article, we're going to explain how to develop an app idea to turn your cherished brainchild into a promising project. Also, we'll describe in detail how to market your mobile app so that it brings you maximum money. In other words, you'll get a clue of what to do if you have a good app idea: step by step. Okay, let’s get started! Without further delay, read our guide on how to make your app idea a reality. Actually, you should start the app ideation process with the most accurate formulation of your concept. Because you just think you have a wonderful idea of the app for iPhone or Android. In fact, all you have right now is just a dream, and not a concrete one. Prepare a full description of your idea, offer app structure in expanded and detailed form. Believe us, the proper app idea submission really matters! What will your applications do? So far this isn't your Mission or Goal (we'll discuss them later), but a simple description of the general mechanism of your program’s operation. Say, Viber provides communication between users, and Instagram allows creating posts based on images. And what are you going to offer users? What will your application look like? Again, we're not talking of full-fledged UI/UX yet, this is only about a general nature of the future program design. You should already understand what you want to get in the end. Are you sure in your app idea’s validity? Test your app idea to assess the level of the potential demand. Ask your future users: would they need such a mobile service at all? Detailed answers to the above questions are needed to cultivate your ideas into a concrete plan. Given your question, it's time to talk of how to validate your app idea and compare it with existing ones on the market. After all, you're not going to work in a vacuum, you'll be surrounded by competitors (whether you like it or not). Specify the main goal of your Android or iPhone app ideas. The project goal isn't just the execution of certain functions by the mobile application. Do your best to formulate the main purpose of your program in terms of what emotions it would bring to the user, what problems it is going to solve (besides the obvious ones). Determine your Target Audience. To create and sell your app idea, you must first determine who it is aimed at. Who is interested in it? Who is your average user? Without knowing your target audience, you’ll hardly figure out what to do with an app idea. Perform a competitive analysis. Collect information on your competitors. The mobile app market is now very saturated: according to the beginning of 2019, the number of iOS applications has exceeded 2.1 million, and the number of Android programs has surpassed 3.6 million. Of course, it makes no sense to explore all the existing services, effective analysis requires only a couple of market leaders (say, 3 or 4). Make a Unique Selling Proposition. Now you should consider the ways to surpass the market leaders and come up with a unique selling proposition able to impress your users - a sort of "killer" feature. Enhance your mobile app’s features. The killer feature is obviously not enough, and you need to think through all the app functionality. Write down possible functions your application can perform, and then be sure to evaluate whether market leaders include them in the "mandatory" list. It doesn’t matter if the features of your app idea are smaller in number, the main thing is that they are better implemented. The collected data can help you proceed to the next stage necessary to turn ideas into apps, namely - to making a prototype. As we’ve already mentioned, now it’s time to create a prototype - a model of the final product. Conceptual. The conceptual prototype is a schematic depiction of future app screens, it should be created in the early stages of product development. The conceptual prototype is able to solve most usability issues at the very beginning. Animated. The animated prototype belongs to the highest level, it's able to almost completely simulate the application work. At this stage, the UI/UX designer thinks over and carefully visualizes the process of program interaction with the user. Many successful apps include the stage of creating an animated prototype (which partly explains their success). Thus, prototyping is multifaceted and combines both the rough sketches at the very first stage of generating Android and iPhone app ideas and the most realistic interactive layouts. Each type of prototype can serve different goals, but the common purpose is the same: to improve the success of your app idea. 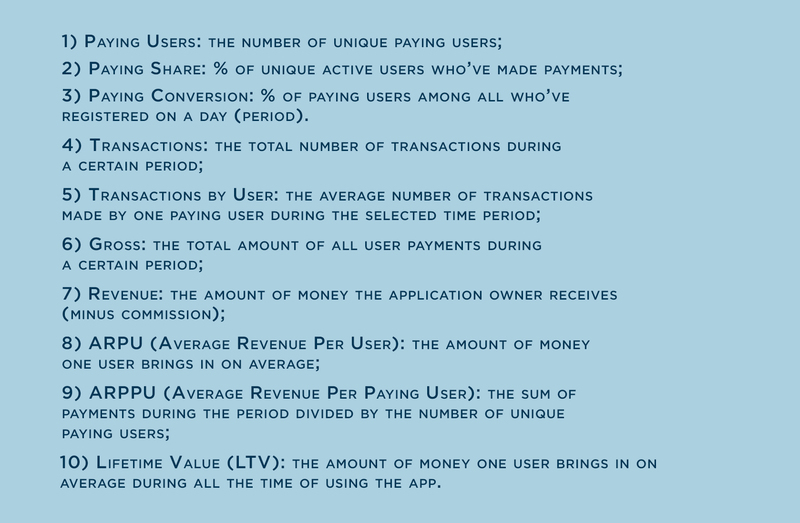 Assessment of the timing and cost of developing the first version of the application (the so-called "beta version"). Assessment of the timing and cost of implementation of a stable app version. By the way, developers, speaking of deadlines, usually mean the beta version, since neither they nor you know what a stable application should look like. Marketing plan. Think of the ways to promote your application. However, we have to discuss marketing in more detail a bit later. A financial plan and an estimate of the time required to return the investment. Such a block is the most important, the future of the entire project depends on it, so we give it a separate section in our article. The need to attract additional funding when launching expensive or time-consuming projects. Leakage of information on the features of your app idea and, as a result, the possible “borrowing” of your concept by competitors. Lack of qualifications of hired developers, their incompetence in the work on the mobile app creation. Okay, suppose, the plan has been drawn up, and it’s time to get down to business in detail - though, you had better find the development budget first. We have a couple of tips on such a delicate affair. One of the main reasons why some people cannot bring their great app ideas to life is the lack of funds. Hiring mobile developers, as well as testing, deploying, and promoting an application is rather expensive, so collecting the necessary development budget can be a difficult task. What to do in such a case? Personal Finance and Savings. This is the most reliable source of funds because you don't have to convince investors in order to obtain the money you need. Close friends. Before trying to find investors or taking a loan, talk with your family members, friends, and acquaintances who truly believe in your app idea. Maybe they’re willing to help you? Application contests. Are you sure you have a good app idea, even a unique one? If the answer is yes, then participate in contests of mobile applications, which are often held by investors in different industries. The winner gets the necessary funds to develop and promote his program. Credit, another way to get the necessary money. Banks are ready to finance promising iOS and Android app ideas supported by a well-thought business plan. Investors. Wealthy people and organizations are able to provide you with seed capital to develop an application. They can finance your entire project if you have a clear and understandable plan and know how to make your app idea a reality. Business partnership. You'll need to find people interested to help you develop and market your mobile app idea. After drawing up a partnership agreement, you're going to receive the financial support necessary to complete the project. Your partner, in turn, obtains a percentage of profit - or other benefits provided by your contract. Sponsors. There are various organizations which can finance app development if you agree to promote their brand in your application (using in-app advertising). A large client. Some businessmen wouldn't mind purchasing successful apps long before their creation - naturally, you’ll have to sell your app idea and convince the client your program has all the chances to actually work out. Of course, such a businessman will monitor each app development step to ensure its compliance with his wishes. In return, you’ll get needed project support (including funding). And now let’s talk of how to sell an app idea and make it profitable. Here you should recourse to various marketing techniques which are the only way to market your mobile app. The promotion of a new product is extremely necessary, otherwise, users are unlikely to find out about your idea, no matter how brilliant it is: our world is full of competitive offers - successful apps, similar to yours. Pre-marketing before launching the app. According to research, it’s advisable to start an advertisement launch with the start of application development: allow people to discuss your good app idea; perhaps, their opinion would prove useful. Launching an advertising landing page. It might be helpful to create a landing page to describe all of your unique offers, benefits, and call to action. Push notification system. According to statistics from the Localytics service, thought-out push notifications make it possible to keep users in the application more efficiently by 56%, and the number of visits increases by 88%. SEO traffic and paid ad impressions. Paid ads help to increase app recognition but you shouldn’t focus only on such a method. Marketing efforts should be aimed, inter alia, at SEO activity in order to attract the target audience and stay in the top. The opinion leaders. Positive or negative feedback from a person with a certain authority can radically change the app fate: for the better or the worse. Therefore, it would be smart to agree on advertising with several opinion leaders; these could be bloggers with an audience of about 100,000 subscribers (and higher). Social networks. Starting the app business, don't forget to include the use of social networks in the number of your marketing techniques. Add special buttons helping to share app content on Facebook, Twitter, Instagram, and other networks. By acting in such a way, you contribute to the viral effect: users would be happy to talk about your program. Of course, this is valid only for truly great app ideas. Partnership with experts in mobile application promotion. You may have complete confidence in the experience of your own team, but a fresh look never hurts, and partnership with experts in creating and promoting mobile applications is a good option. If you've started losing patience and want to do work, more related to app development, don't worry - we finally got close to the most interesting part, building the application (or, rather, its initial version). Perhaps, it's appropriate to recall the financial matter once again. We've already talked about the high cost of the app development project and suggested several ways to attract the necessary funds. But what if you don't get as much money as you need to implement your concept in full? What should you do? Don't abandon your great idea for an app right off the bat! Better get smarter and start by developing an MVP model. MVP means Minimum Viable Product - an application which includes only the fundamental features (those without which it cannot do). The MVP approach allows you to create a relatively affordable model of the program (an initial version of your idea of an app for iPhone or Android) and assess the user reaction. In the future, you'll be able to diversify and extend functionality at your discretion. Earlier, we've discussed, and in great detail, the MVP model. There is no point in repeating: follow the link and read all you need to know. As you see, the MVP model is a good way to save your money, as well as test your app idea and improve it if needed (based on user feedback). Unassisted development. Of course, this is the easiest and most inexpensive way - provided you're familiar with the basics of developing apps. Team gathering. “Alas, I have an app idea but no programming skills”, you may say. In such a case, you have to gather a team of people who are good at mobile development and ready to devote time to your project. Hiring a development company. The most reasonable thing to do is entrust the app development to an experienced company which has already completed many similar projects. So you'll avoid a lot of mistakes an inexperienced developer would inevitably do. And in the long run, hiring an expert team would lead to your saving money. Now that you know your options, let's discuss the next item on our list, namely - the most important mobile app metrics to track. if a person really likes the application, he eventually becomes an active and loyal user who is even ready to enter a paid subscription or make an in-app purchase: in other words, to contribute to the program monetization. The New Users indicator takes data relevant to the day of reading the metrics. And the Total Users indicator allows you to understand how many people managed to evaluate and test your mobile service. 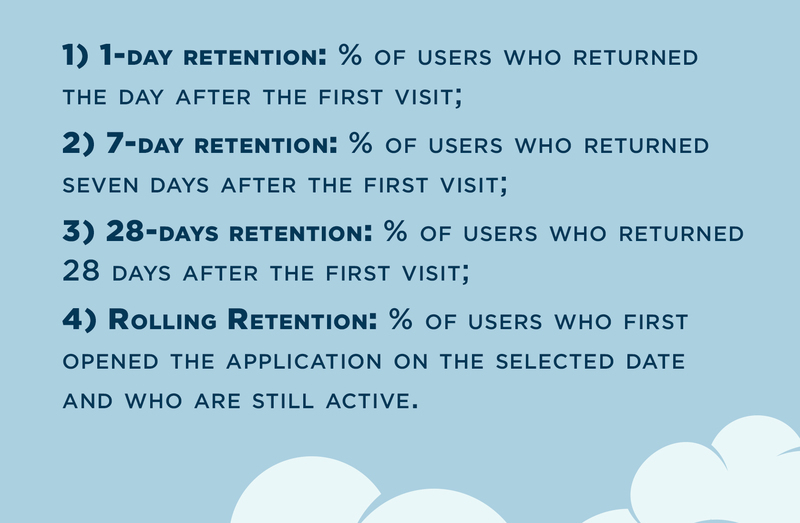 Talking of Rolling Retention, we mean users opened the program at least once in the last 7 days. And now we're going to list the mobile app metrics which determine the level of activity of your more or less regular users: those that you've managed to conquer. LWAU and LMAU are calculated in the same way. 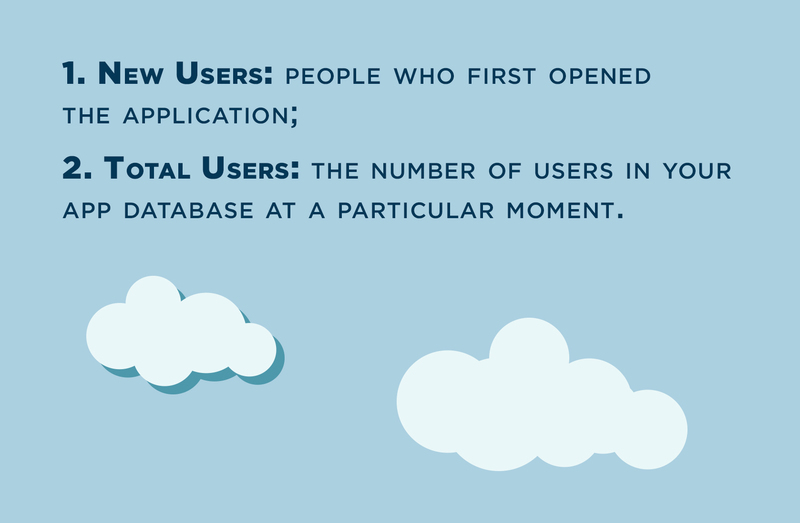 And by the by, the loyal user is the one who opened the application a day after the first visit - and did so at least once. Discussing the success of Android and iPhone app ideas, one cannot get away from monetary indicators either. We've briefly described them below. By the way, each metric shows the indicator level per day or other established period. 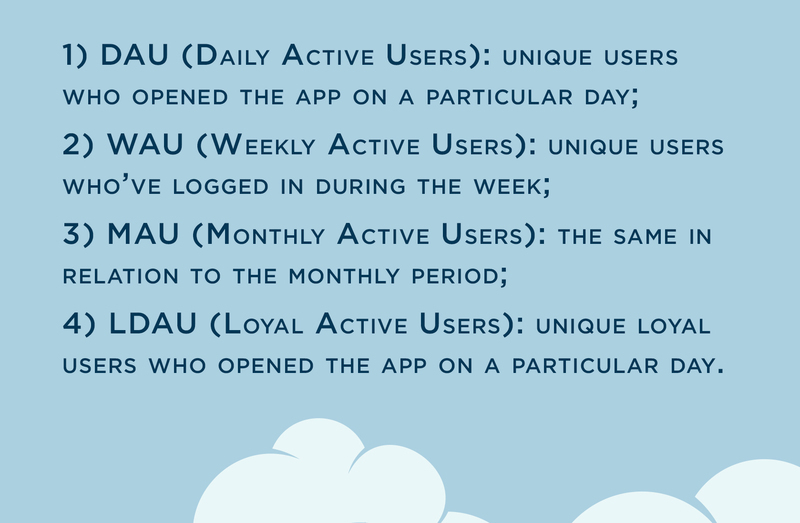 We'd like to clarify that when calculating ARPU, both paying and non-paying users are taken into account. Also, we want to add a few words about Revenue: in the end, the indicator is the most interesting one because it says about our earnings. Alas, Google Play & App Store take a commission (usually about 30%), so that the app owners receive no more than 70%. And we see the number in our mobile app analytics metrics. That's all about mobile app performance metrics... moreover, we're close to completing our guide. It remains to add a few final tips to our recommendations, and you'll finally know what to do with an app idea. In fact, creating an application isn’t the end, it’s the very start, and there is still a lot of work to be done. Competitors are on their guard, users want constant improvements in the program, and indeed, even great app ideas can lose relevance if you aren't paying enough attention to them. Follow the trends in web and mobile design and be ready to update your app interface according to the dictates of the time. Listen to the wishes of users, respond to their feedback. Your target audience knows best how to develop an app idea and make it as up-to-date as possible. Take advantage of new technologies whenever possible: let's say, many applications benefit when supplemented with the AR feature. By the way, we wrote about AR technology in great detail in one of our articles. Okay, now you have complete information on the subject and know what to do if you have an app idea. And, of course, we’re happy to give you personal advice and ready to implement even the most ambitious application idea. Contact us without delay.